Russian Ambassador in Washington Anatoly Antonov said: "We never fail our people"
WASHINGTON, November 14. /TASS/. Russian Ambassador in Washington, Anatoly Antonov, on Monday voiced support for journalists working at RT America, which had to register itself as a foreign agent pursuant to demands of US authorities, the embassy press service told TASS. "We never let our people down," he said while visiting the editorial office of RT America in Washington. The American affiliation of RT filed all the required documents with the US Department of Justice for registering as a foreign agent, RT News Service Deputy Director Alexey Kuznetsov said earlier, adding that the channel had no other choice given the situation it had been forced into. "Faced with a choice between a criminal case and registration, we opted for the latter," a report on RT’s homepage quoted its Editor-in-chief, Margarita Simonyan. "We congratulate American freedom of speech and all those who still believe in it." Simonyan said in an earlier comment on the channel’s situation that it had very strong objections to these demands but it was compelled to agree because otherwise it would not have been able to operate in the US. 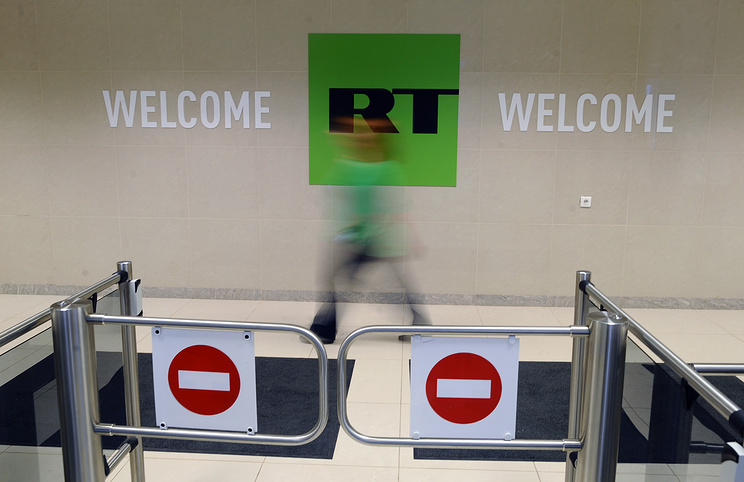 The US Department of Justice issued a demand to RT America, a subsidiary of the Moscow-based RT channel, to register as a foreign agent until November 13. On November 10, Russia’s State Duma Speaker Vyacheslav Volodin gave instructions to appropriate committees by the State Duma (lower house of parliament) to draft a symmetric legislative response to the actions by the US Department of Justice. He said the lower house might consider a mirror-like response in the first reading on November 15 and in the final reading on November 17. However, Deputy Speaker Pyotr Tolstoy said on Monday the house might pass the bill in the final reading by Wednesday, November 15.